SugarScout is born out of the collaboration between Sara Garcia & Stacy Hammen, two sister friends who enjoy scouting, learning and trying….almost anything. 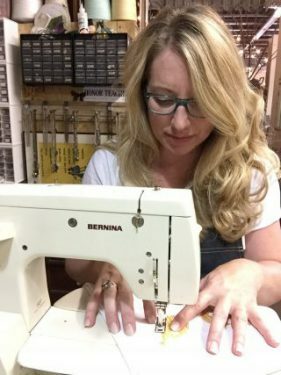 They relish in time spent making cool things, using power tools, writing smart thoughts, and getting downright giddy over sweet textiles & colors. They mostly hope that they will make enough money to find, make and share….more…….with people around the globe. Sara Garcia is a problem solver, a color aficionado & rarely misses a cocktail at 5:00. She began her journey with a design degree from the University of Wisconsin and is currently using her Masters in Education to teach high school where she confiscates cell phones and tells boys to pull up their trousers. She has 2 super funny kids and one super funny husband. 3 of her best finds. She believes that good women should use kindness, honesty, well-built tools, and be willing to work hard to have fun. She spends her fleeting moments of free time making her 1960’s split level in beautiful Minneapolis, a bit more interesting. 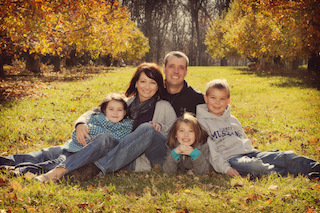 Stacy Hammen is a girl with a calm voice, a bold heart, and a love of popcorn & good beer. She is a mom of 3, a happy wife, and is not opposed to dirt under her fingernails or spray paint in her hair if the challenge calls for it. She is married to a patient man with gorgeous blue eyes. She believes deeply in smart girls, good friendships, and asking for forgiveness rather than permission. Collegiately trained as a teacher, but born to make things beautiful, Stacy makes her home in Eastern Wisconsin on Jefferson Street.